A group of leading economists and business leaders have published a paper that demonstrates that Brexit could be very good indeed for the UK economy. We, like many in the UK, have become very tired of the constant bickering amongst our politicians and leaders, and the lack of leadership in getting the best outcome for the UK in following through on the referendum vote to leave the EU. They state that an exit on World Trade Organisation (WTO) trade terms would be far less damaging than Remainers claim because the World Trade Organisation already provides a harmonised trading framework on which the EU trade agreement is based. Customs clearance is carried out by computer entry before and after port transfer, essentially without any significant cost. This is demonstrated by the fact that, under such modern border procedures, typically about 98% of goods travel across developed-country borders without any inspection. A practical demonstration of this is Switzerland, where all ‘frictional border costs’ represent only 0.1% of the value of goods. This would have a virtually zero impact on GDP. 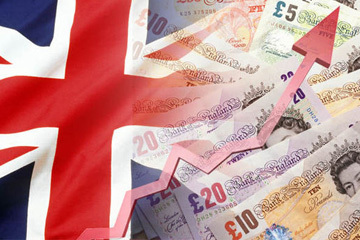 We at Apex believe that the UK has a strong, world-leading economy. Don’t let “Project Fear 2” dishearten you. We urge you to disregard the rhetoric and spend some time on https://www.economistsforfreetrade.com looking at the facts from some of our leading economic experts.